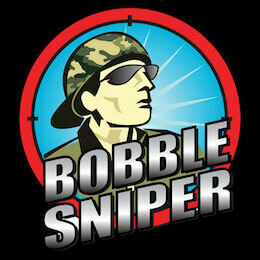 Mike friggin Ditka Snipers. What’s there not to like about this guy? 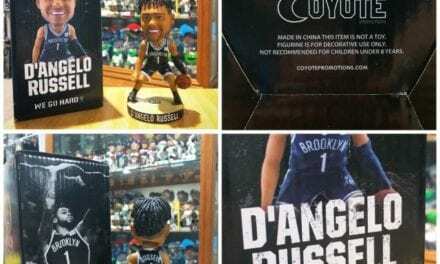 The guys over at Clark Toys didn’t hold back on creating this exclusive not one bit. 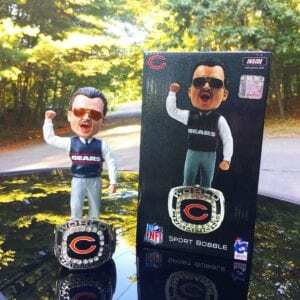 A solid 8 inch bobble celebrating the Chicago Bears 1985 Championship of the famous coach Mike Ditka. 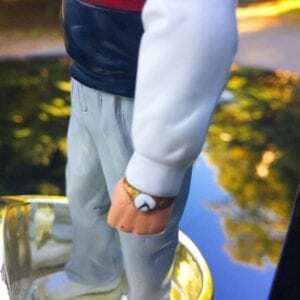 If you want detail, then here’s your answer. 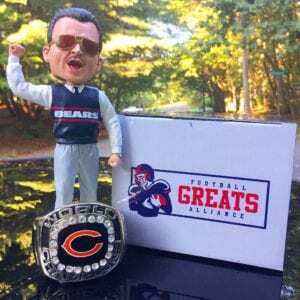 Coach Ditka has his signature navy blue Bears vest on, over top a shirt and tie and rocking the 80’s shades. 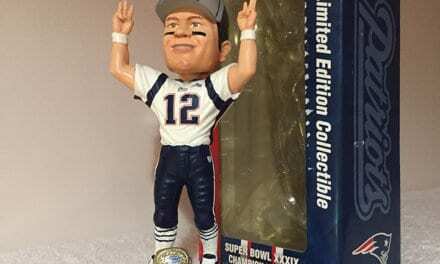 The pose Ditka portrays can’t be more exciting. 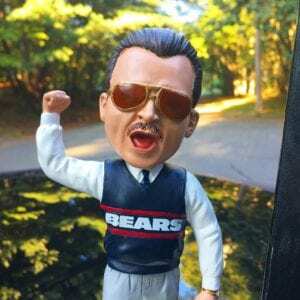 Big Mike, just fist pumping, as his Bears win the Super Bowl with his mustache and mouth open as he screams. Sniper Rating: Let’s get to the direct point here. 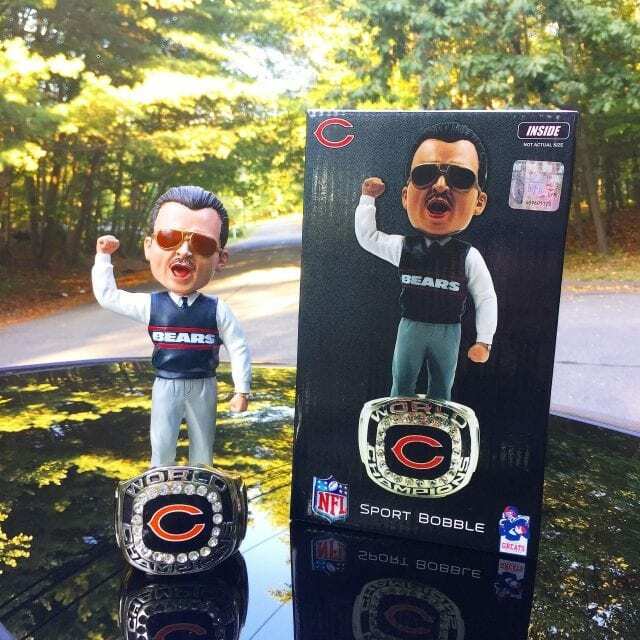 The 85’ Championship flashy ring, that Ditka is standing in, makes the bobble. 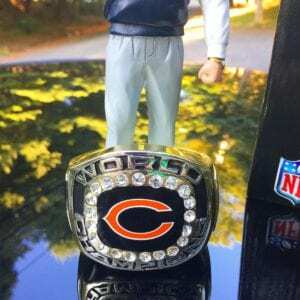 It’s flooded with diamonds around the perimeter with the Bears logo dead smack in the middle and raised “World Champions” letters. 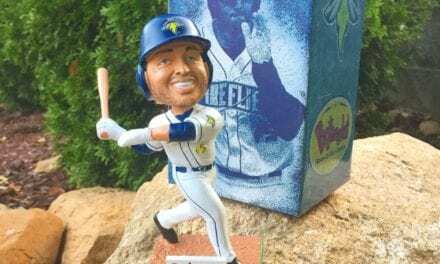 When was the last time you displayed a bobblehead with the actual player, mascot or coach standing in a Championship ring? The answer’s never. 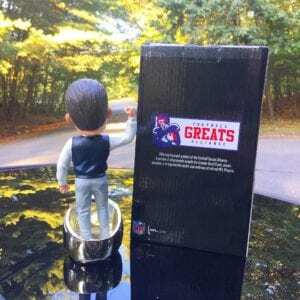 For $40.00 you can’t go wrong scoring this bobble. Only limited to #750 made, this one will go lighting fast. 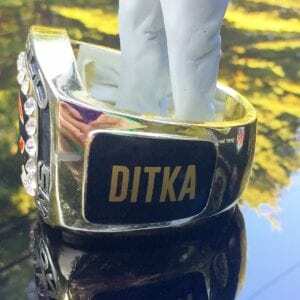 Coach Ditka and his 85’ Championship Ring bobble scores a 9.5. 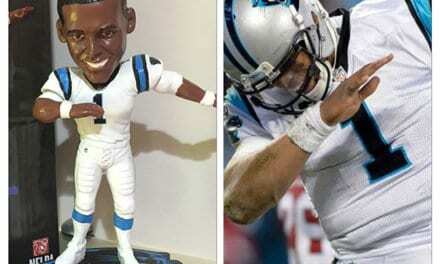 Head over to clarktoys.com and proudly display this on NFL Sundays.